Yet another title to finish the year off, Nico Parlier scores big in Sardinia as he scoops up the Grand Slam GoldCup trophy. Adding to 2018's collection of prizes; Formula Kite World Champion, San Fran Bay Challenge - Long Distance Champion, French National Champion, Defi Kite Champion and first place in the Hydrofoil Pro Tour. All this while studying for exams and training for his course practical reviews. A very well deserved WELL DONE! The Kite Foil Gold Cup World Championships was originally meant to be spread over 4 events, the best 3 event scores would have gone towards defining the Champion status. However the last leg of the tour which was intended to be in Oman was called off meaning Sardinia became the decider stop. Having come second in Weifang, China and then not being able to compete in Act 2 in Pingtan due to Uni comitments, this meant Nico was out of the running. 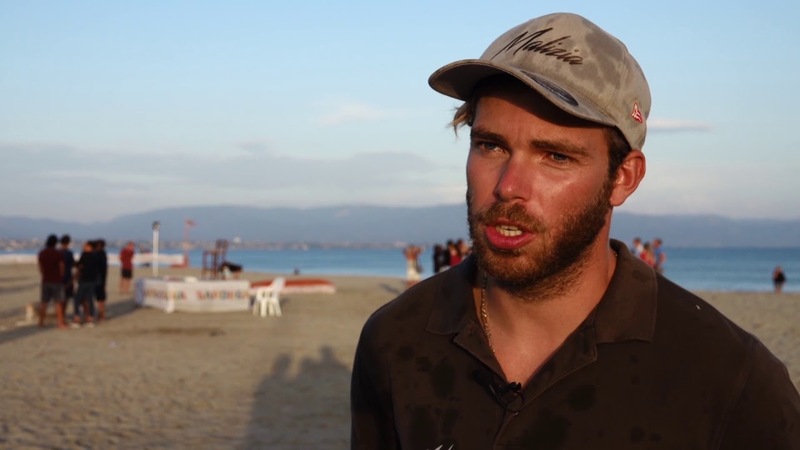 Having only competed 2 out of the 3 events Nico was holding out for the now cancelled Oman stop, therefore the title went to fellow countryman Maxime Nocher who came in second behind Nico in Sardina. A special year for me with an awareness of what really matters in life ....The crazy chicken was with me on these last podiums as Theo will remain forever in my heart. Thank you to all my partners who supported me during all these beautiful years!"